With just over a week until the series premiere, here’s an all-new sneak peek at what’s to come including a first look at fan favorite characters and locations from The Force Awakens, including Captain Phasma! Disney and Lucasfilm have released the key art / poster for the final season of Star Wars Rebels. Click the image above for an expanded look. If you missed it, you can also get the full broadcast schedule for Season 4 here. Here is your trailer for the fourth and FINAL season of Star Wars Rebels! 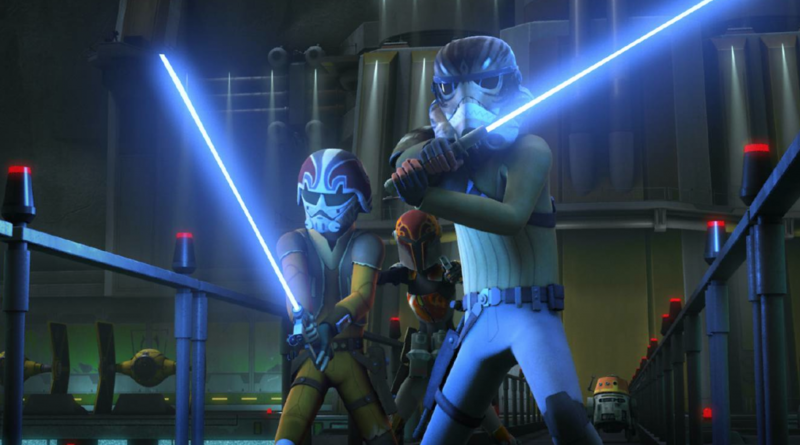 Lucasfilm and Disney have announced that Star Wars Rebels will be returning for a Season 4 this fall. 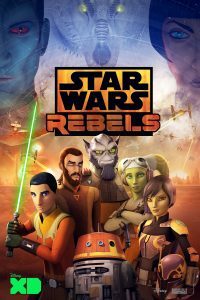 There had been some questions regarding the status of the series as many of DisneyXD’s renewals have already been announced while Rebels had been absent. Looks like a lot of old friends, once thought long gone, turn up in Season 3. 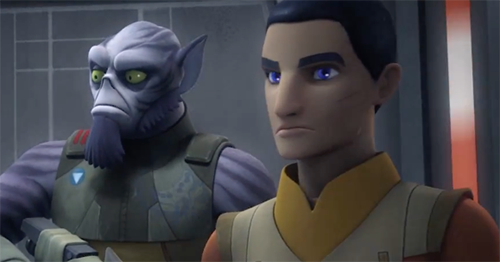 The latest episode of The Star Wars Show has just been released and the crew, along with special help from Dave Filoni, offer a sneak peek at Star Wars Rebels season 3 – complete with new looks (and green lightsaber) for Ezra. Click on over to YouTube to check it out. 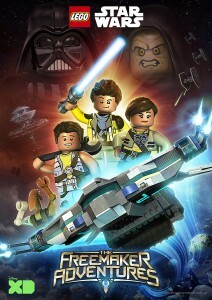 LEGO Star Wars: The Freemaker Adventures” is an all-new animated television series scheduled to debut this summer on Disney XD in the U.S. The fun-filled adventure comedy series will introduce all-new heroes and villains in exciting adventures with many familiar Star Wars characters. 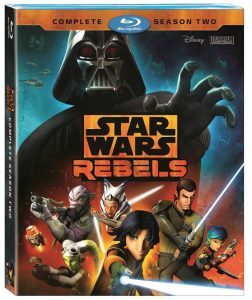 The newest episode of Star Wars Rebels “The Call” is now available to watch through OnDemand services and the DisneyXD. The crew go on a mission to obtain fuel for the rebel fleet and end up protecting space creatures from the mining operation that threatens their lives. 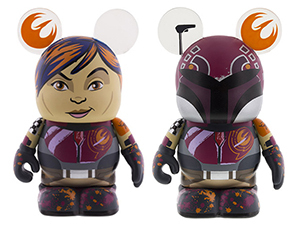 Vinylmation World alerts us to news that a new Vinylmation Eachez Sabine from Star Wars Rebels (season 1) will be available Feb. 12 at Disney D-Street and at Disney Springs Pin Traders. There is a common version (9/10) that features Sabine sans helmet, and a rare chase (1/10) wearing her distinctive helmet. Head on over to Vinylmation World for a closer look.